Hello, there it's Jorja from Westland High School. 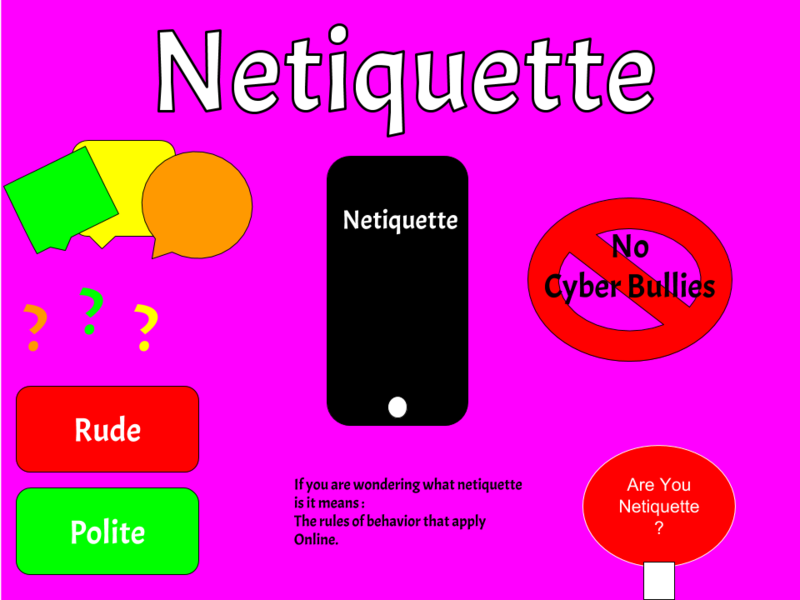 We are learning netiquette which is about having rules that apply on the internet and talking online. 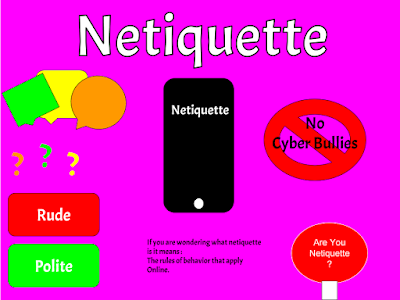 You need to be considerate and not be mean or being a bully. You must have your behavior under control.